For many years, people interested in tracing their genealogy sought out PEM’s Phillips Library to ply through birth certificates, news clippings and wedding announcements. Essex County is the most recorded and researchable county in the world thanks to the library’s extensive holdings. But today the scope of interest stretches much wider. Scholars come with plans to dive in on any number of topics, from meteorology to musicology. 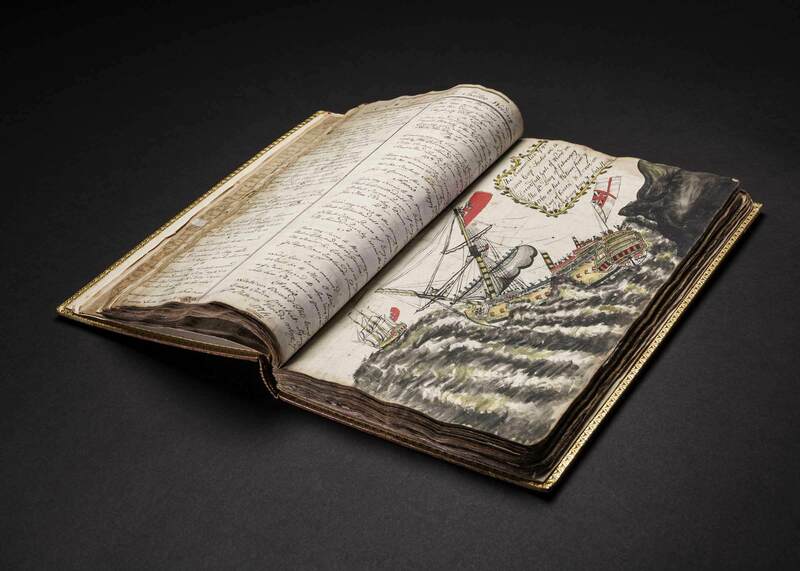 An independent scholar recently viewed hundreds of logbooks, gathering data on the paths and intensity of North Atlantic storms and their impact on ships. Meanwhile, a doctoral candidate from the University of California came seeking a specific collection supporting his dissertation on musical training at schools for the blind during the 19th century. Many visitors are arriving better prepared than ever before, with a complete list of items they know can be found at the library thanks to a 2014 project that created more than 250,000 new digital records. The catalog records are available to researchers worldwide via the Phillips Library website and through OCLC/Worldcat. The catalog going live and online has illuminated this beacon on the Phillips Library. Looking at the numbers is fun. In one recent year, researchers arrived from 36 Massachusetts communities and 24 states, as well as Australia, Bermuda, Canada, Chile, China, Italy, Japan, Sweden, Taiwan and the United Kingdom, doubling the number of countries researchers came from the year before. Map from world atlas (Sekai zu), Japanese, Ink and color on paper, 1698. Gift of Mr. Philip Hofer and Mr. Francis B. Lothrop, 1972. © 2011 Peabody Essex Museum. Photography by Walter Silver. “We’re kind of surprised every day by who walks in the door and what they’re looking for, and even more so, that we can help them with these collections in extensive areas,” says reference librarian Catherine Robertson. Henry Tiffin commonplace book, drawn 1748-1776, Watercolor and ink on paper. Gift of Mrs. Anna Glen Butler Vietor, 1982. © Peabody Essex Museum. 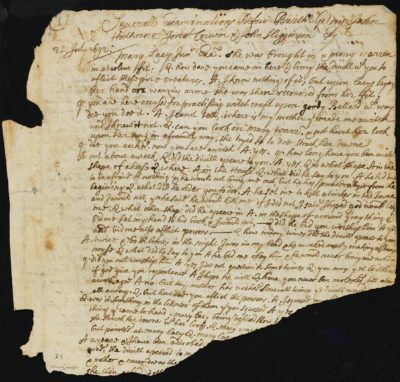 The discovery included letters exchanged between Salem native Charles Hasket Derby and Ivan Christian, a native of Pitcairn Island, to discuss trade between Pitcairn and America. The island’s inhabitants are descendants of those cast off the Royal Navy vessel HMS Bounty in the South Pacific in 1789. During Salem’s age of sail, the islanders accompanied a Salem ship captain from New Zealand back to the islands, after New Zealand tried to force them to live on the mainland. They traded with Salem sea captains. For goods carried aboard the ships, they sometimes exchanged hand-painted leaves meant to be used as bookmarks. As a recent Phillips Library fellow from the University of Illinois, Ben Bascom spent four weeks poring through the sermons and diaries of Jonathan Plummer, an itinerant peddler, poet and preacher from Newburyport. Housed at the library is the one surviving copy of the narrative of Plummer’s life, which is in far better condition than a digitized version created with lesser technology in the 1960s. Examinations of Ann Foster, Mary Lacey, Sr., Mary Lacey, Jr., Richard Carrier, Andrew Carrier, Mary Toothaker, Sarah Carrier, Thomas Carrier, Jr., Hannah Post, Sarah Bridges, Mary Marston, Mary Barker, Elizabeth Johnson, Jr., Sarah Hawks, Mary Wardwell, Johanna Tyler, William Barker, Jr., Stephen Johnson; and Confession of Sarah Wardwell, page 1, 1692-07-21 through 1692-09-16. Salem Witchcraft Trials Records. © Peabody Essex Museum. Bascom is giddy when talking about Plummer, the unsavory character starring in his dissertation, which is a “meditation” on excluded outcasts during the time our country was being created. Plummer would routinely get kicked out of town and was called “a droll fool” by prominent Salem figures, says Bascom. Serious scholars, casual researchers and the occasional curiosity seeker all find their way to the Phillips, sometimes with great public popularity or critical acclaim. Pulitzer-prize winning author Stacy Schiff published the first major commercial nonfiction book in decades on the Salem witch trials in 2015. Schiff spent time at the Phillips Library not just with the witchcraft papers but tapped sermons, diaries and small family manuscript collections. We often tell our researchers, when you publish, we want a copy,” says Robertson, “and we want your autograph. TOP IMAGE: A view of Plummer Hall in the Phillips Library, 1885. Formerly the Western ante-room occupied by the Essex Institute showing Dr. Henry Wheatland (at table), George M. Whipple, Sec. (at desk). Joseph Linton Waters (in background. Peabody Essex Museum. Courtesy photo. Open Tuesday-Sunday, 10 am until 5 pm. Closed Mondays (except holidays).